Find out how to save money on a trip to Maui, Hawaii — including finding the most affordable hotels, flights, transportation and more! If you are thinking about a trip to Maui, a little planning can ensure you get the most for your vacation dollars. We travel to Maui every year with the goal of staying as long as possible! Each year as we plan funding for the trip I take some time to review trip costs and plan the vacation expenses in advance. Although on several occasions we have attempted to adjust the budget planning to reduce costs, we find each trip comes in near the same amount. Trip expenses fall into three major categories — flight, fixed daily, and per person expenses. There are a wide range of options for flights to Maui, including direct flights from many west coast cities, and connecting flights via Los Angeles or Honolulu. Costs per ticket from San Francisco typically runs $350 to$650, depending on specials and availability. Flights from LA are about $50 less, and from other western cities, $50 more. When flying to Maui from the mainland, you generally have the choice of two airports: Kaanapali (the largest airport on the island, airport code OGG) or Kapalua (airport code JHM). You can also fly into Honolulu, then take a flight — or boat ride, if you prefer — to Maui. Traveling with kids can be challenging, so getting a daytime, direct flight is quite desirable. >> Should kids be limited to families-only section on airplanes? As a web-savvy traveler, I watch the Maui flight costs regularly, and booked our first few trips online. Surprisingly though, I have gone back to booking through a travel agent as they often offer better flight availability, and lower rates. The travel agent competes by buying blocks — groups of seats at a discounted rate to resell with travel packages. On our last trip we not only purchased flights for less, but also got seats on the exact flight we desired — one that was sold out online. 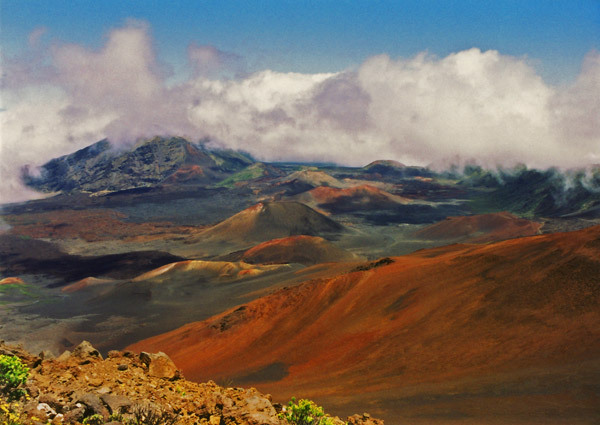 While staying in Maui there are a number of expenses that are essentially independent of number of travelers. These expenses include the rental car and lodging as the biggest items. To control your rental costs, there are a few things you may consider. First, read your insurance policy, as you may be covered in a rental car already. Finally, be ready for the pitch and know what you want before entering. Maui does have “used” car rentals as well. They will pick you up at the airport and have reasonable rates and cars. If you are taking the flight-car package discount this will not be an option.